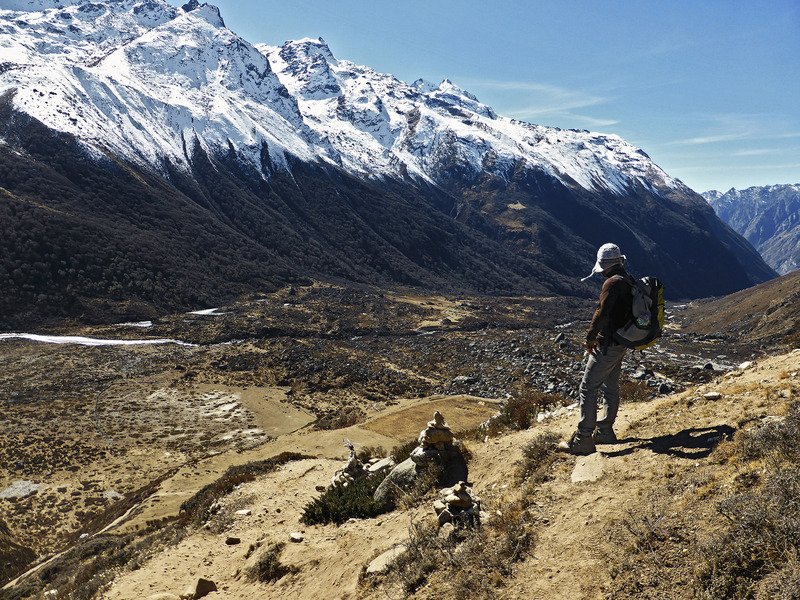 With the Langtang Trek via Ganja La pass, you have many beautiful opportunities. You follow the river upstream through forests of pine, bamboo and rhododendron. Then you ascend through pastures to arrive at the alpine meadows of Kyanjin Gompa, the last Tibetan village in the valley. And last but not least, you cross the exciting mountain pass of Ganja La. 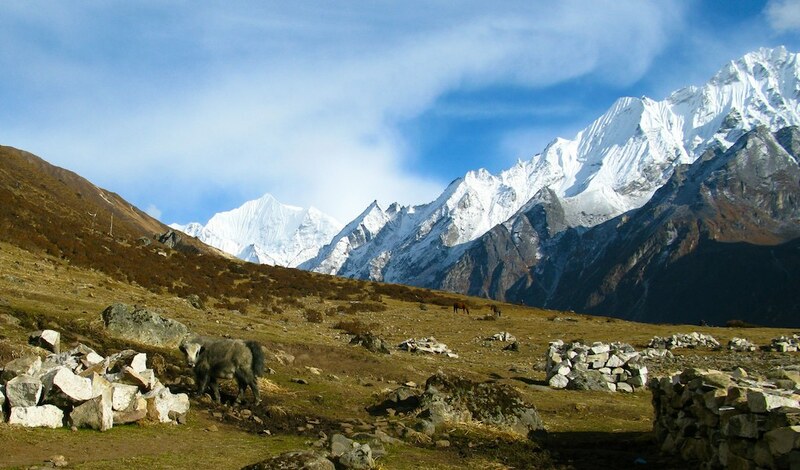 All about the Langtang Trek via Ganja La. 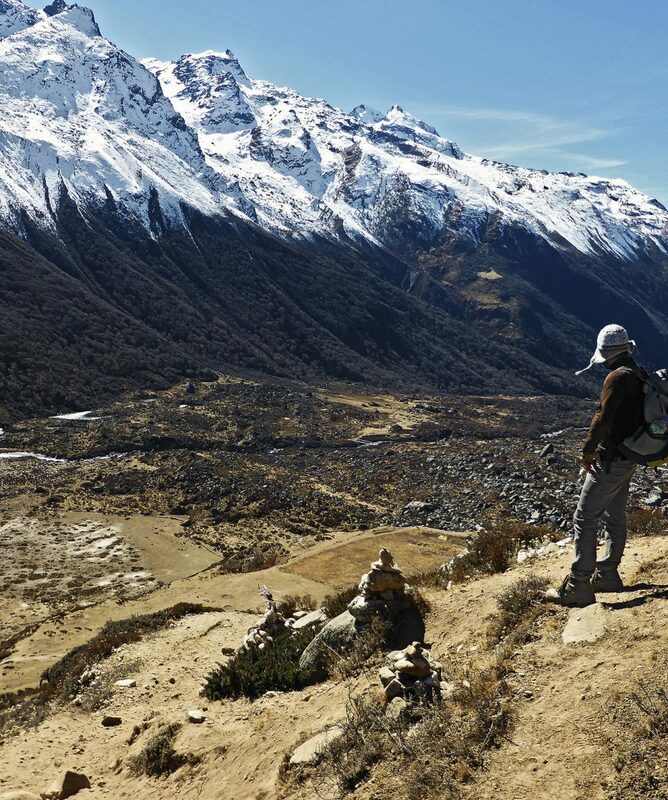 Trekking in the Langtang Valley and crossing Ganja La is a trekking full of diversity. 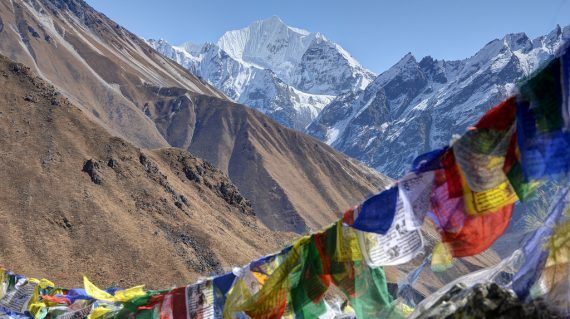 Langtang is a narrow valley that lies just below the main Himalayan range to Nepal’s northern border with Tibet and a slightly lower range of snowy peaks in the south. 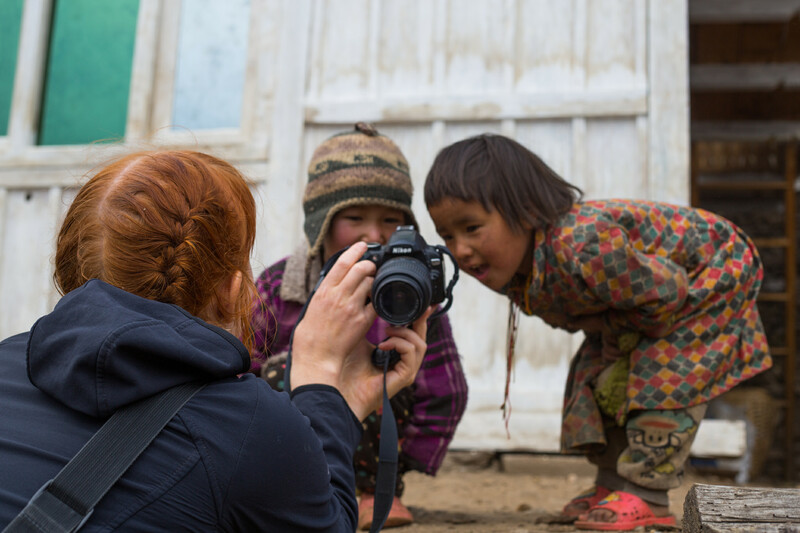 A visit to the Langtang valley gives you the opportunity to explore Tibetan and Tamang villages. 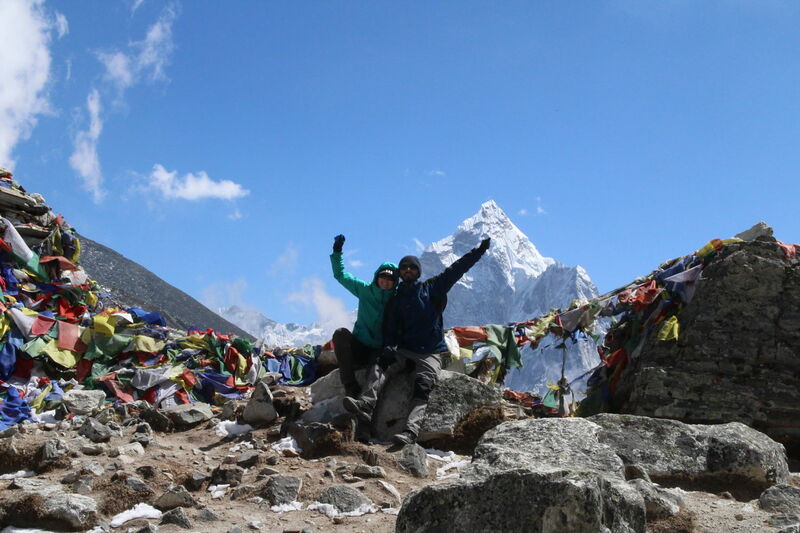 Also you could climb small peaks and visit glaciers at a comfortably low elevations. 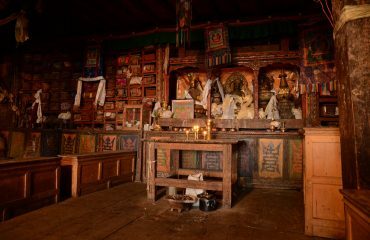 From Kyanjin Gompa, a Tibetan village in the valley, the trek heads Helambu via Ganja La pass (5200m). 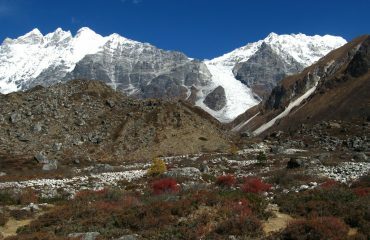 The pass itself can be challenging, during autumn and spring the pass is open for trekkers. A trek over Ganja La pass is an entirely wild and adventurous experience. If you are on this trek during spring, the forest along the trail is colourful as it is full of blooming rhododendrons. Crossing Ganja La is a serious undertaking that requires good equipment and experience from our local guides. 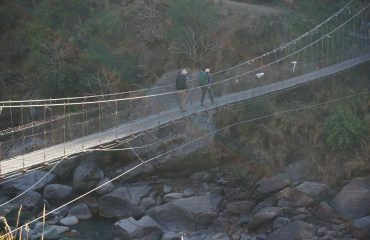 Crossing the pass requires technical climbing equipment and trekkers must be skilled in the use of this. 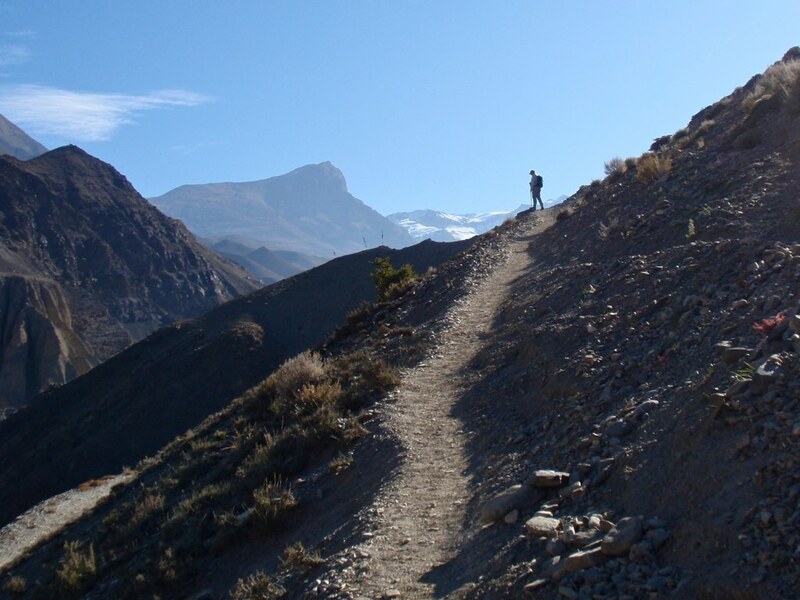 The trail follows a small valley before it reaches the glaciated pass where the use of ropes, crampons and ice axes may be necessary. By crossing the pass you enter Helambu, descend and slowly return to Kathmandu. Early morning we pick you up at your hotel and drive to Syabrubesi (1462m) which takes up to eight hours by private bus. 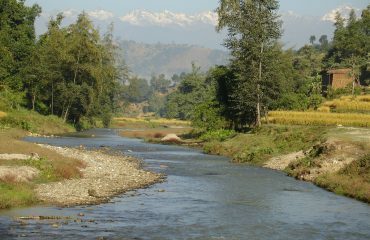 Driving through the scenic foothills and ridgeline vistas to Syabrubesi along the mighty Trishuli river, we get a glimpse of Ganesh Himal. Terraced green hills and lush forests make the drive very pleasurable. Parts of the road are bumpy and under construction. Today we start our trek! 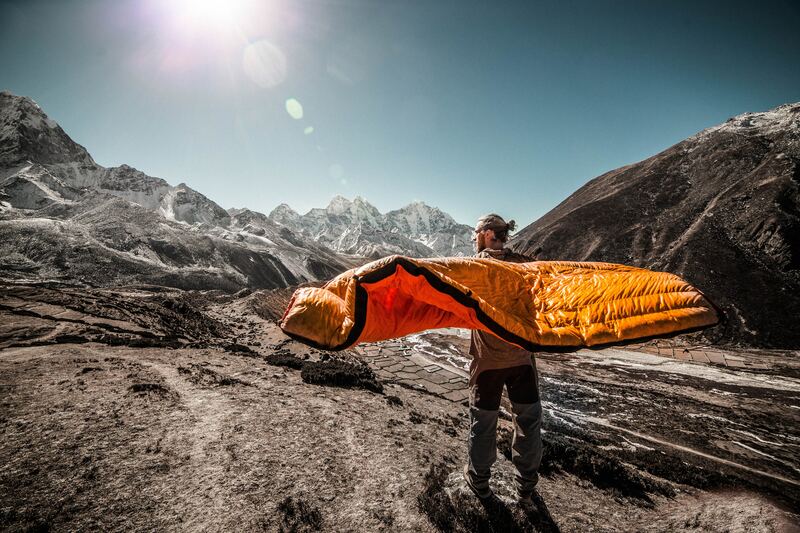 On the first part of the trail we cross the Bhote Khosi river and follow the Langtang Khola. The trail gradually ascends and we pass rugged paths up to Bamboo (1960m). 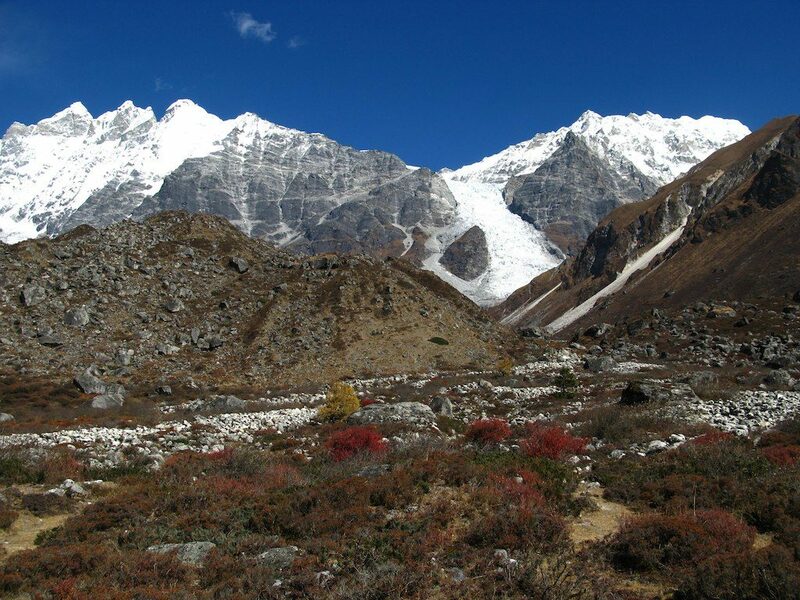 Then our trek climbs gently to Rimche (2400m) which lies at the bank of Langtang Khola. Here we can have lunch where after we continue following the trail to Lama Hotel (2500m). Along the way, if we’re lucky, we might see red pandas, monkeys and even boars. Today our route takes us to Gumanechok at Ghora Tabela which literally means the Horse Stable. Then we gradually climb to a beautiful valley with yaks. Langtang is a typical village and one of the oldest along our trekking route. The views of the mountains are spectacular in the dry season and become more imposing as we trek closer. Today we have a shorter walk, but adequate for acclimatizing. There are some interesting things to explore, especially the famous cheese factory. If you like you can try some locally produced cheese as fresh as it could get. 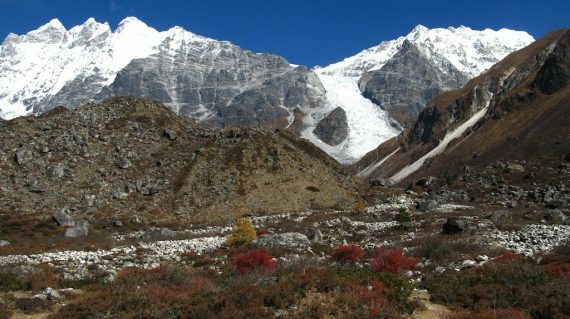 This beautiful valley is on the lap of the Langtang Lirung, the place where we can explore the valley and climb several small peaks (hillocks). Today we take rest and explore the area a bit. 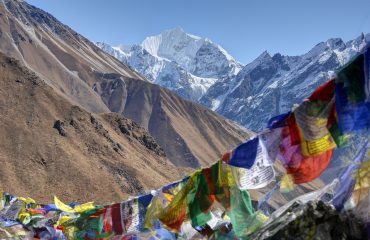 We can visit a monastery and the cheese factory, walk up the moraine to see the spectacular ice faces and tumbling glaciers of Langtang Lirung. 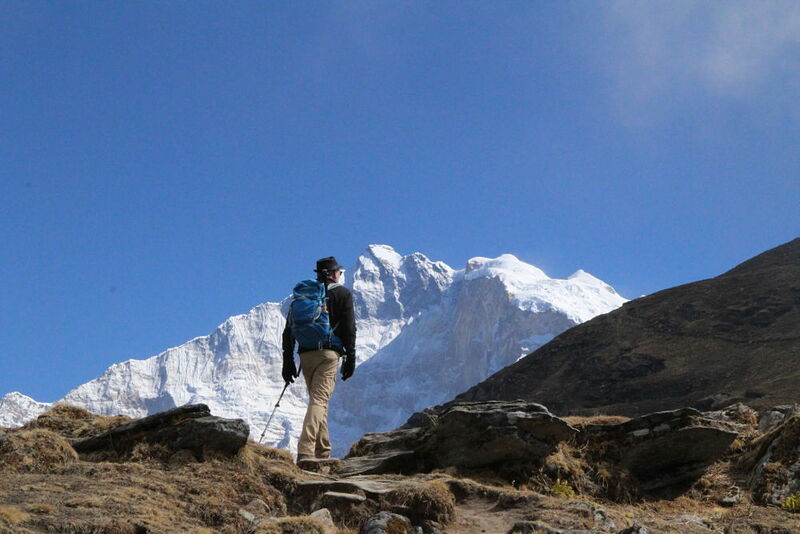 Or … we could ascend Kyangjin Ri, the highest point of this trek directly behind the village. 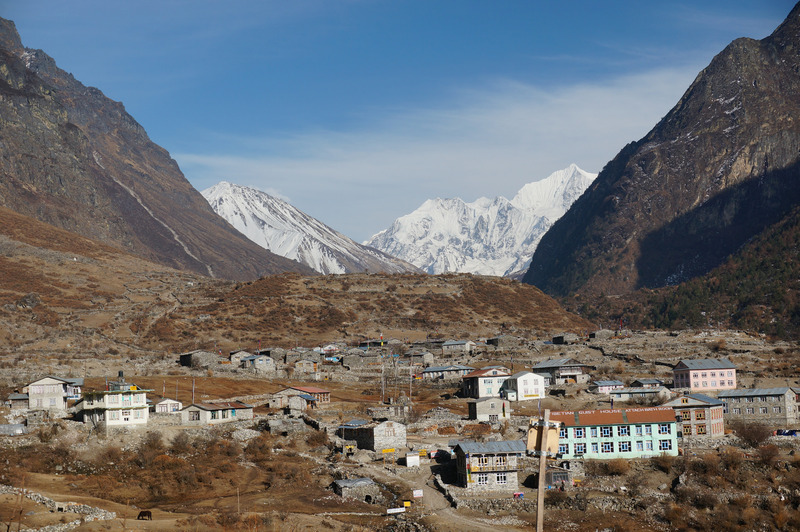 It’s a good opportunity for a breath-taking panorama of the Langtang peaks. Back on track, we follow the trail again. Today we ascend in an area that is covered with few natural vegetation. Here in this area no villages can be seen, hence no more lodges are available for us. Today is comparatively more strenuous as we cross Ganja La pass (5200m) that is covered with snowy ice most of the time. 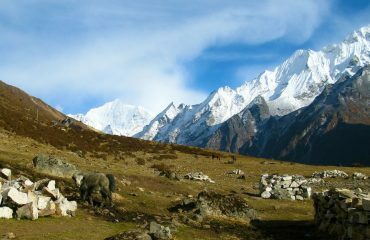 We have a long walking day along the ridge and grassland, with amazing views of the Himalayas. Tonight our campsite will be in the forest. 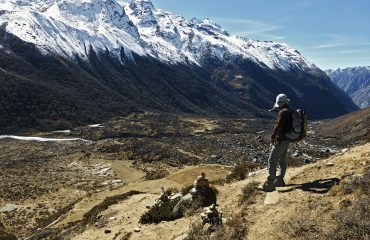 The trail descends slightly before we climb over a 4100 meters high mountain pass, from where we can have a spectacular view of the Annapurna and the Everest regions. On the other side of the pass the trail descends through a pine forest, a rhododendron forest and past the tiny herder settlement Tarkeghyang (2560m). Here we can visit one of the oldest Buddhist monasteries and Sherpa villages in this region and you will be welcomed by the cheerful and friendly people of this village. 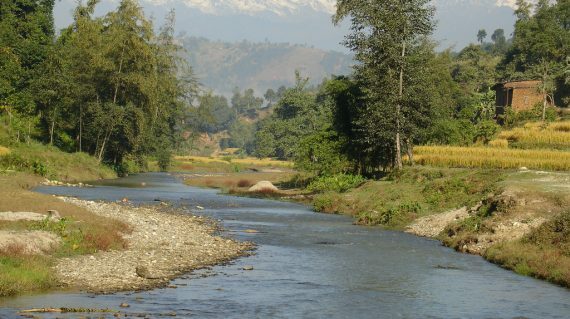 This day the trail is quite easy as we trek through flat lands with beautiful forests and small streams along the way. 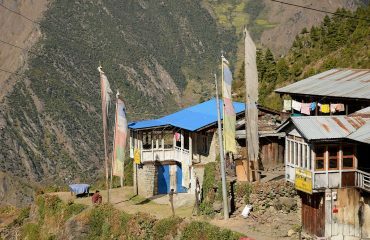 We visit a beautiful village halfway to Shermathang (2621m), another pretty Sherpa village where you can see many ancient monasteries and also the Jugal Himal range on the north face of the village. 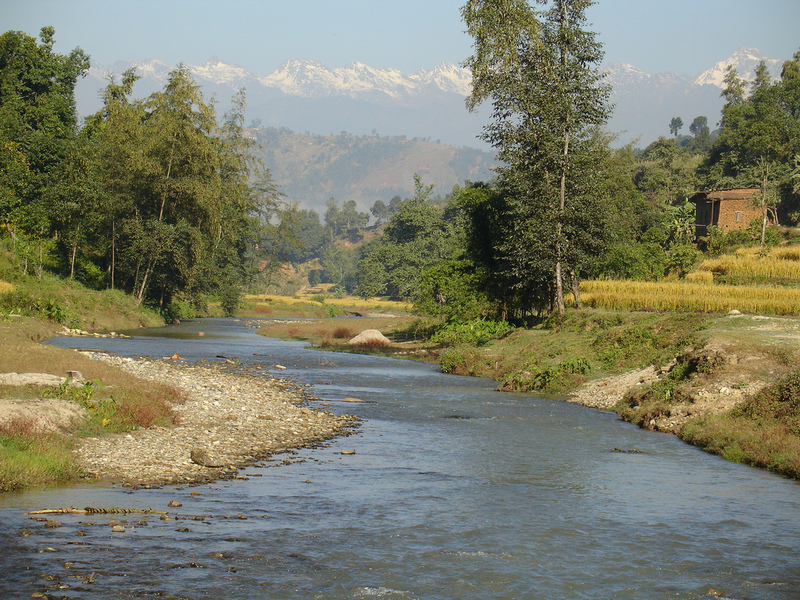 The trail gradually descends all the way to Melamchi Pul Bazaar through meadows and cultivated fields. Along the way, we trek across several old villages with their own unique traditions. Today the walk is quite pleasant with great mountain views. 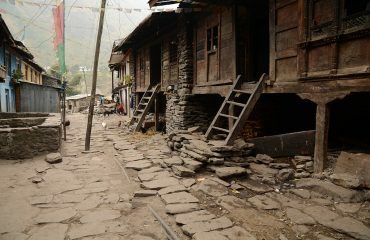 After breakfast we drive along a bumpy gravel path up to Lamidanda and then follow the metalled road up to Kathmandu. 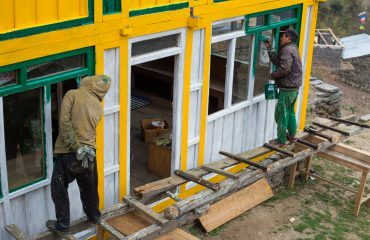 In Kathmandu, before and after your Langtang Valley trek, you will be staying at a 3-star hotel with a private bathroom and wifi. These hotels have a prime location. 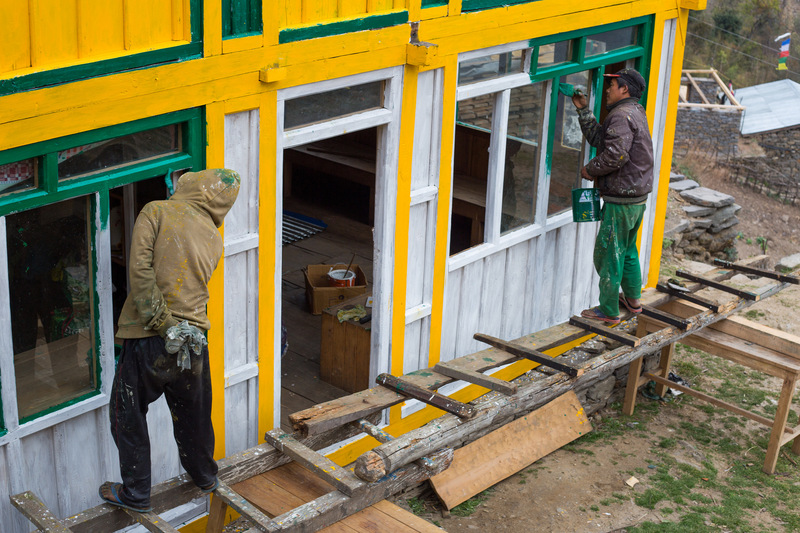 In Kathmandu you will be staying in the travellers neighbourhood Thamel. The hotel is nearby many restaurants, trekking gear shops and supermarkets. During your Langtang Valley trek, you will be staying at mountain lodges. Here are double rooms and shared bathrooms. A hot shower and wifi are also available for an additional fee. Crossing Langtang Khola (river) by Andrew S.
Langtang Khola by Christian H.
Langtang Valley by Scott M.
Mountain lodge by Christian H.
Langtang Valley by Christian H.
Langtang Village by Andrew S.
Langtang Lirung by Scott M.
Kijanjin Gompa by Raini S.